There is a little restaurant here in Dunedin right off the Pinellas Trail called Jolli Mon’s. 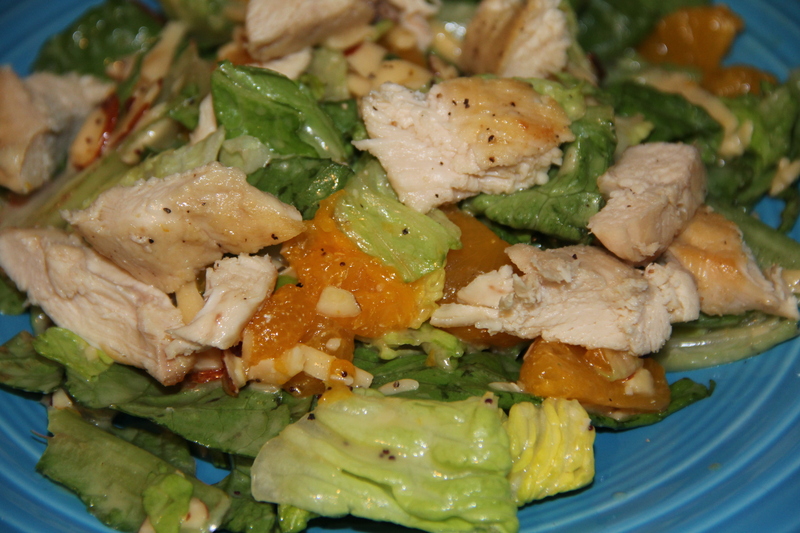 They have been through some ups and downs, a couple of owners, and a few different menus, but there are a couple of items that I love that have made it through, one being the Key West Salad. 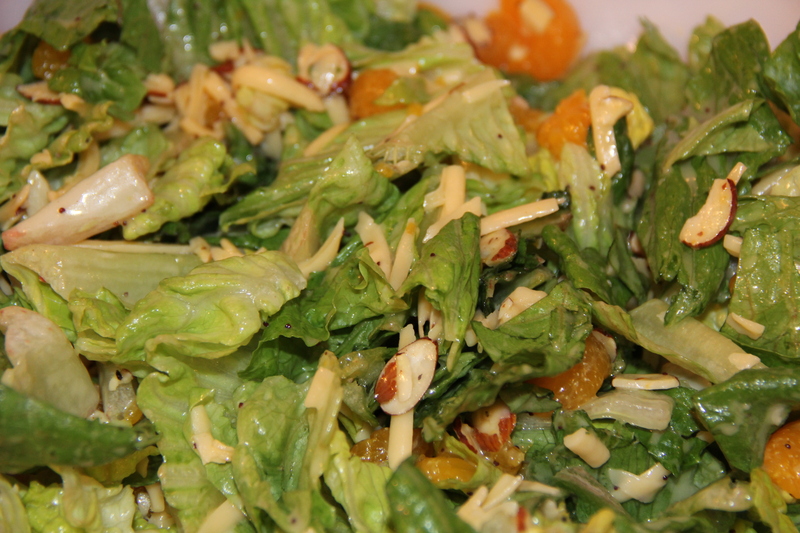 It is a light and refreshing salad that I crave on warm summer days. I have recreated it to the best of my ability and topped it with a simple Mango Mustard Chicken. 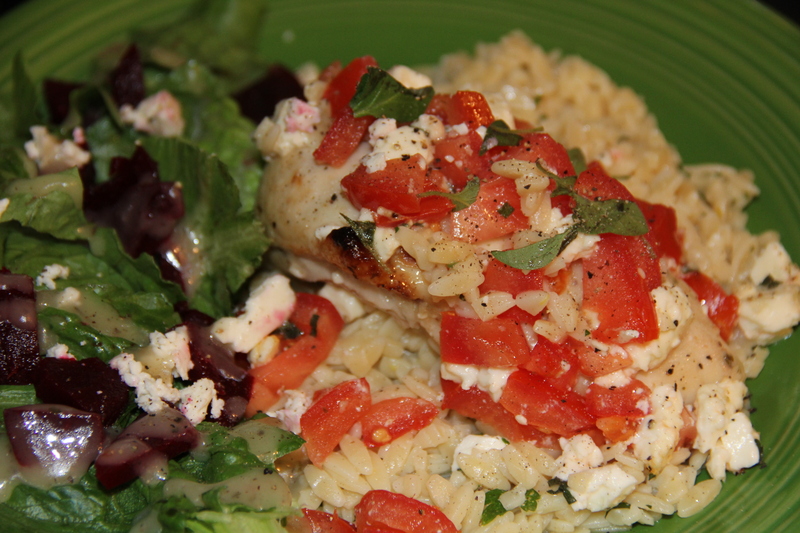 This is a great summer time meal. 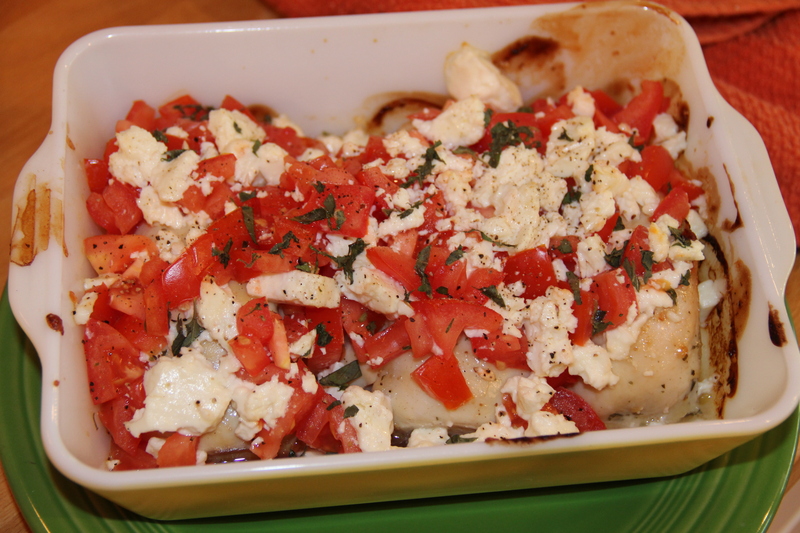 Preheat the oven to 350, Place chicken cutlets in a shallow baking dish. 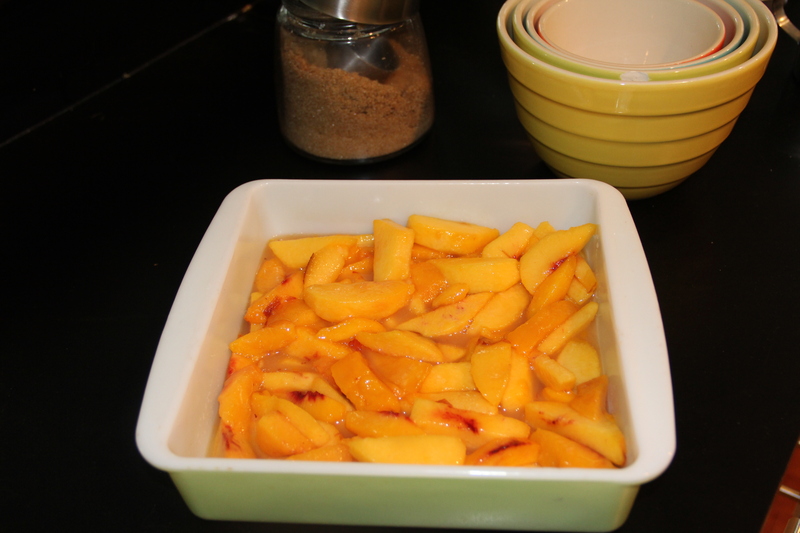 Add mustard and mango jelly to a small sauce pan and heat over med until jelly is melted and combined with mustard. Pour over chicken in pan, season with salt and pepper. 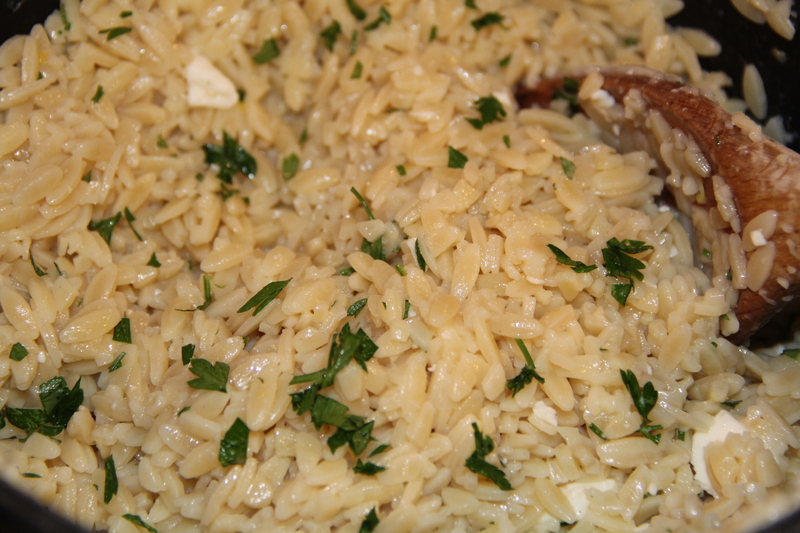 Place in oven and cook for about 15 minutes, turn on broiler and cook 5 minutes more, to add some color. 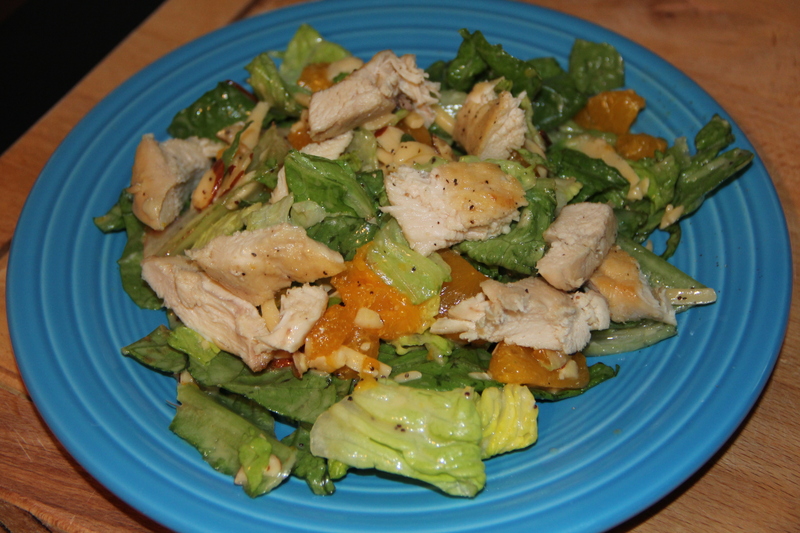 Meanwhile put salad together, add all remaining ingredients to a large bowl and toss. 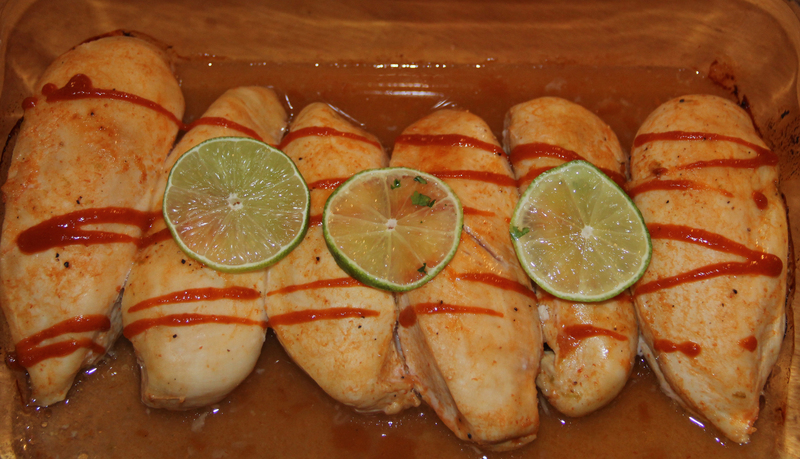 Slice the chicken and top the salad, makes 2 large or 4 small servings. 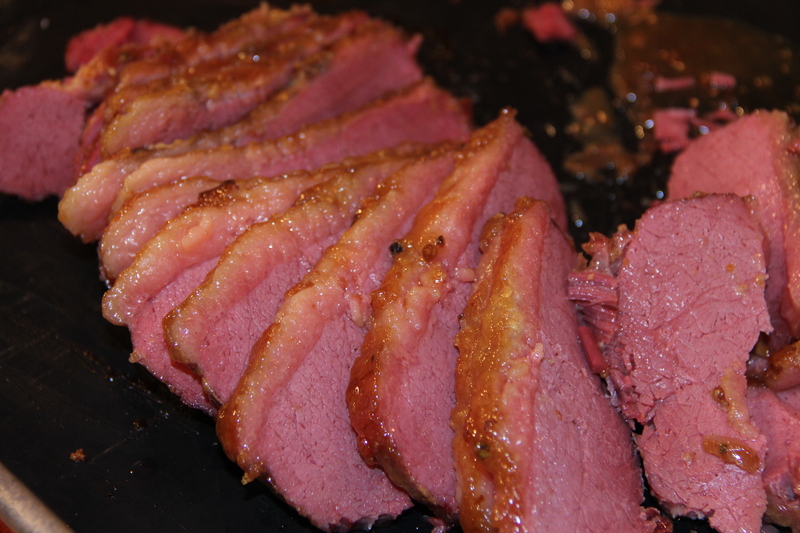 Do you have ham you need to use up, leftover lunch meat or ham from brunch? 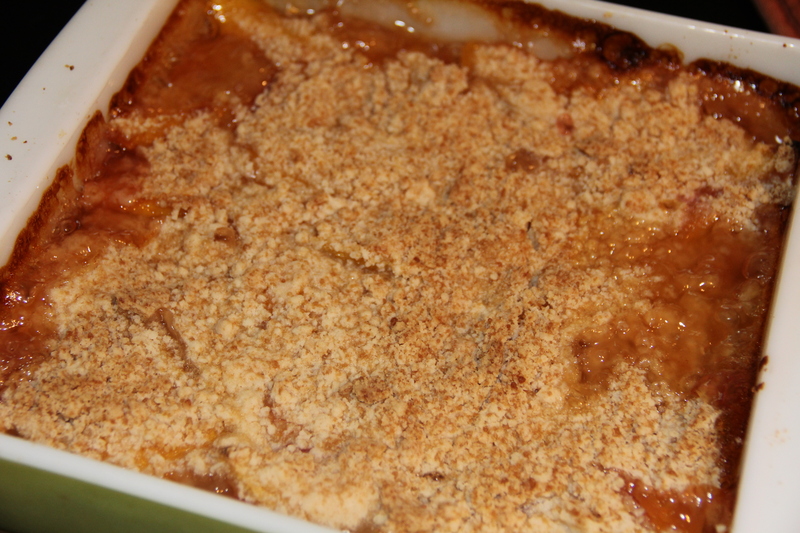 Here’s and easy comforting casserole to try. 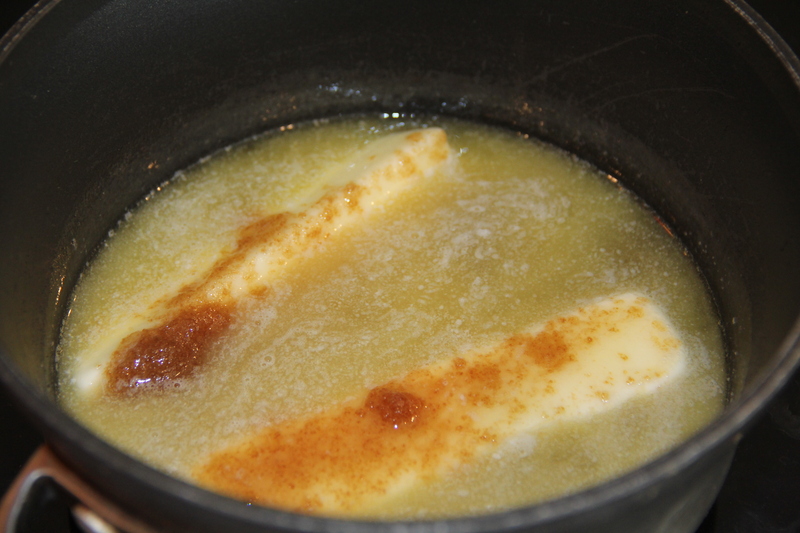 In a medium saucepan melt butter over low heat, stir in flour and cook 1 minute. slowly add milk, stirring constantly and turn heat up to med high. 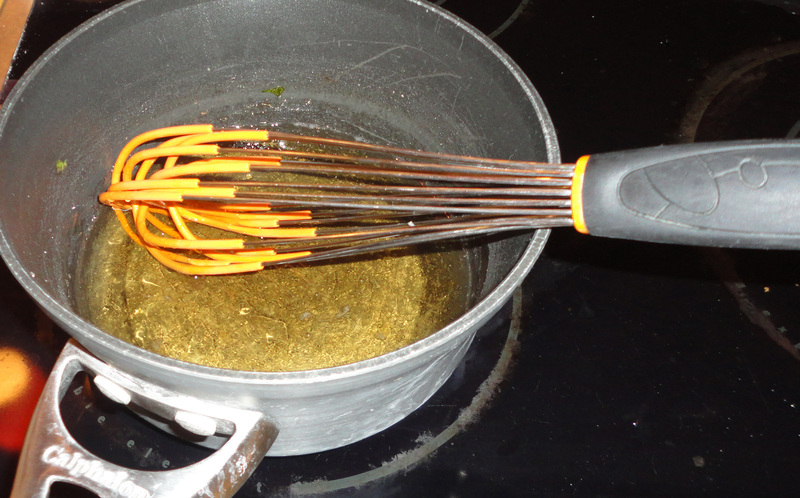 When sauce begins to bubble turn back to low and stir until slightly thickened, about 2 minutes. add dijon mustard, and both cheeses. stir until cheese is melted. add pepper and stir. 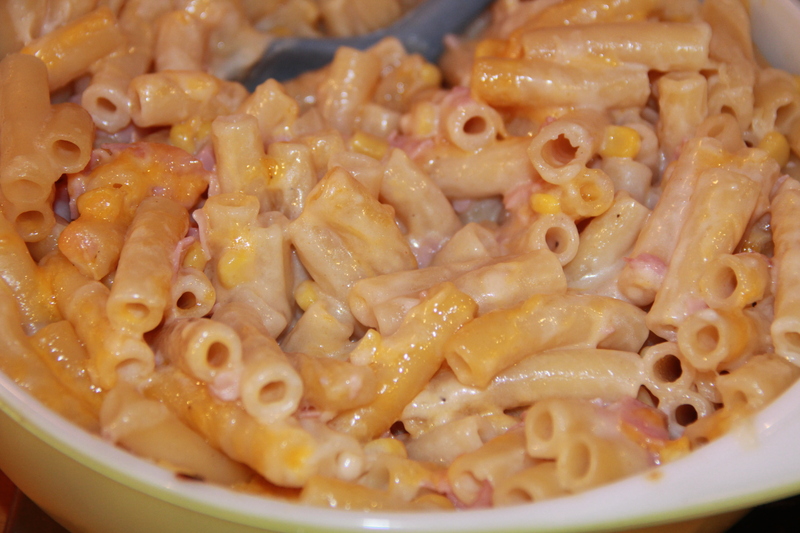 add cooked pasta, chopped ham and corn to a large baking dish. 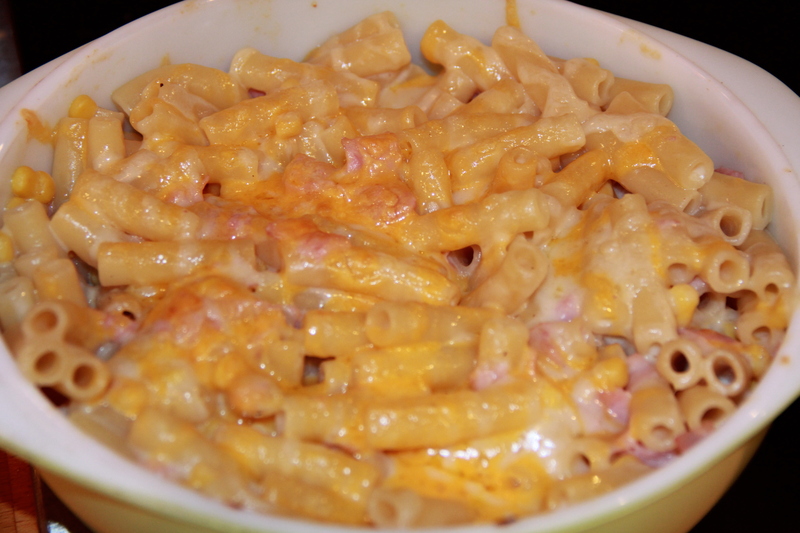 Pour cheese sauce over top and combine. 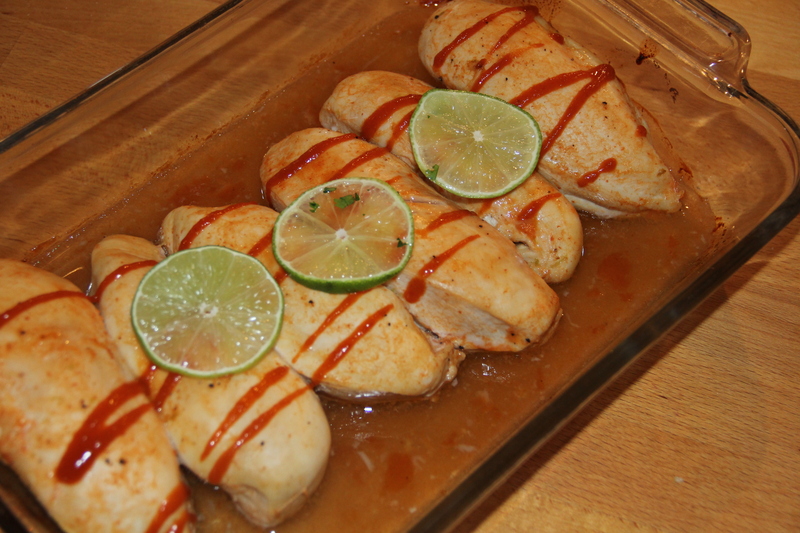 Bake for 25 -30 minutes or until sauce is bubbly and crust form on top. 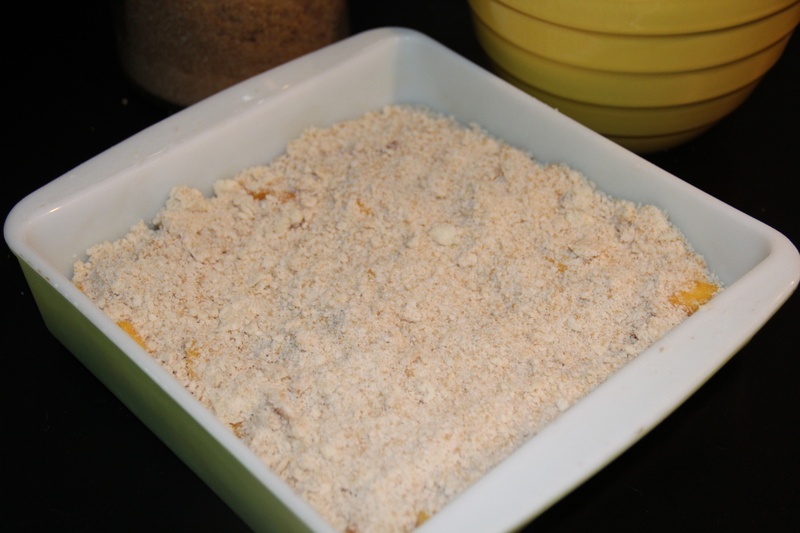 If you want you can add breadcrumbs or more shredded cheese on top before putting in the oven. 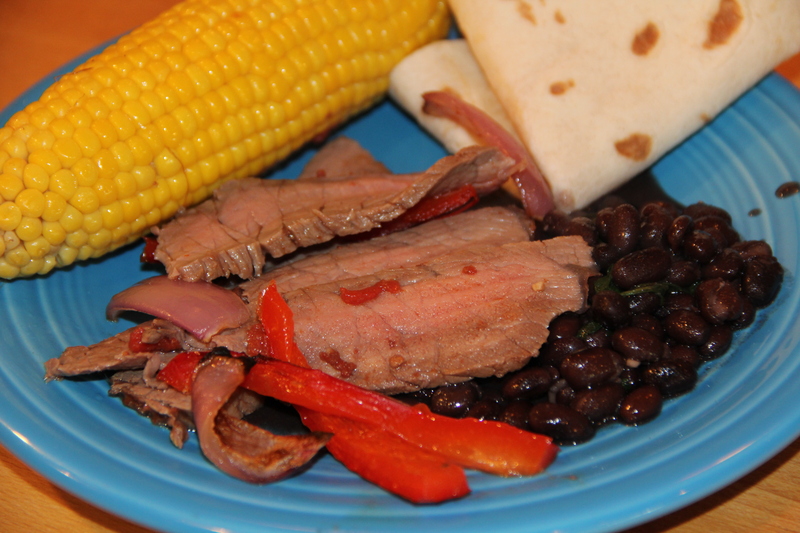 Put london broil in a gallon sized ziplock bag, add remaining . 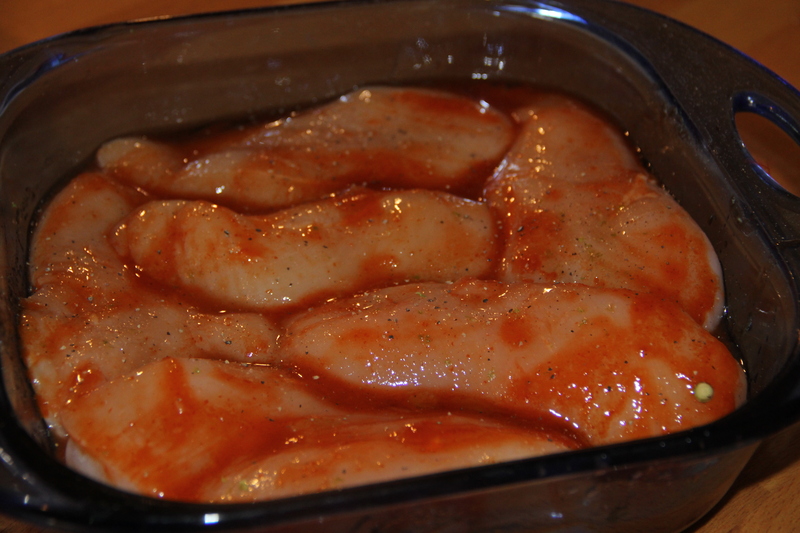 Close bag and mix and massage marinade into meat with your hands. Place bag in refrigerator for 6-24 hours, turning occasionally. Preheat oven to 450. 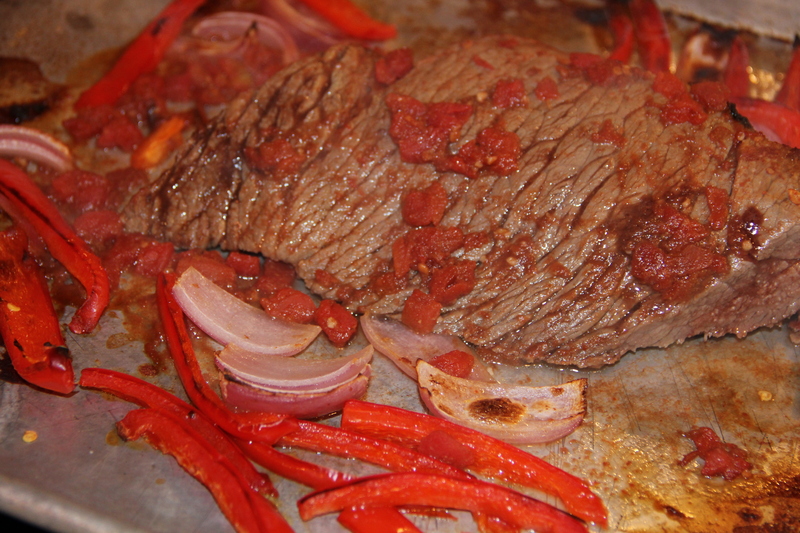 Place meat and marinade on a baking sheet, add sliced peppers and onions if desired. Let rest 10 minutes and then slice thinly against the grain. 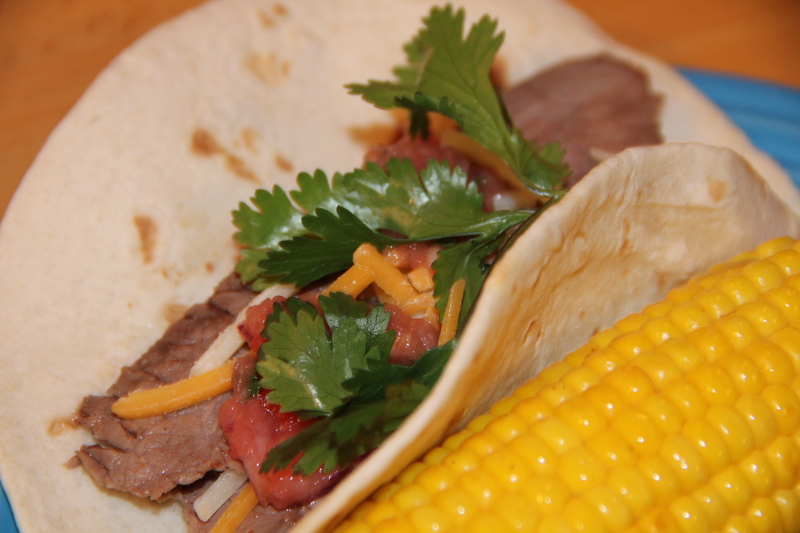 Great by itself or served in tortillas. 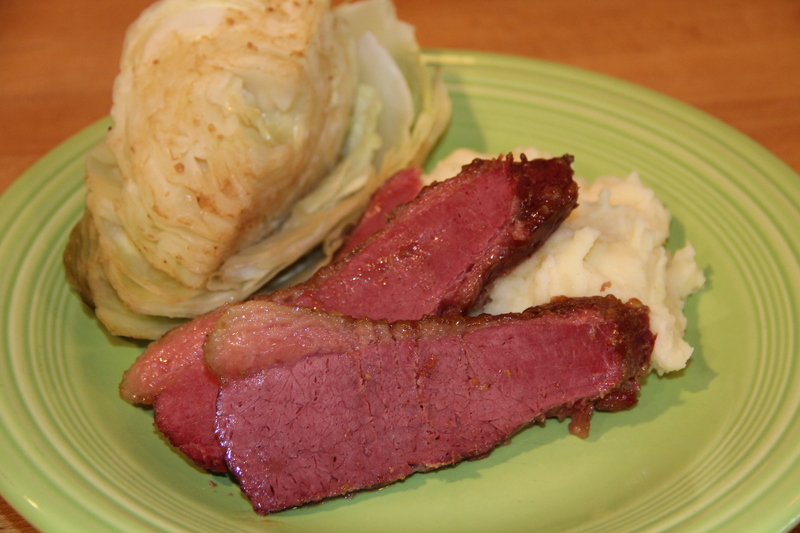 I used to eat Corned Beef on St. Patrick’s Day because I had to, it was tradition. 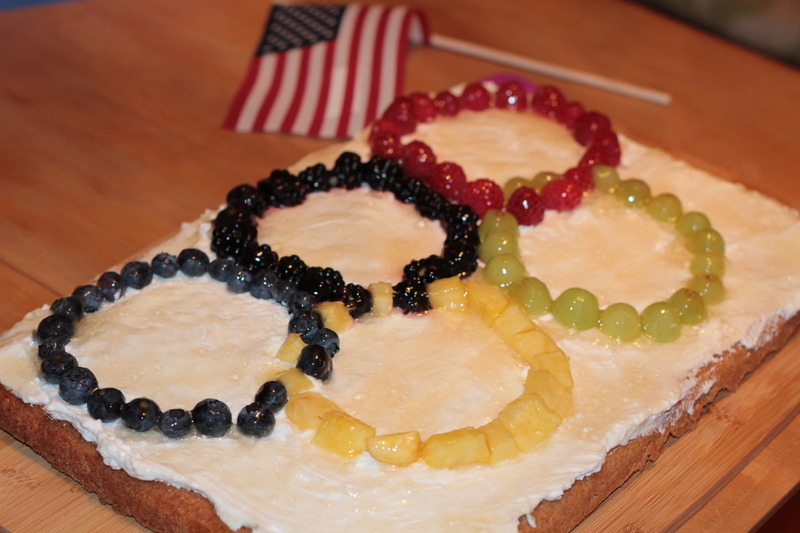 Now I eat it because I love it all thanks to one on my good friends. 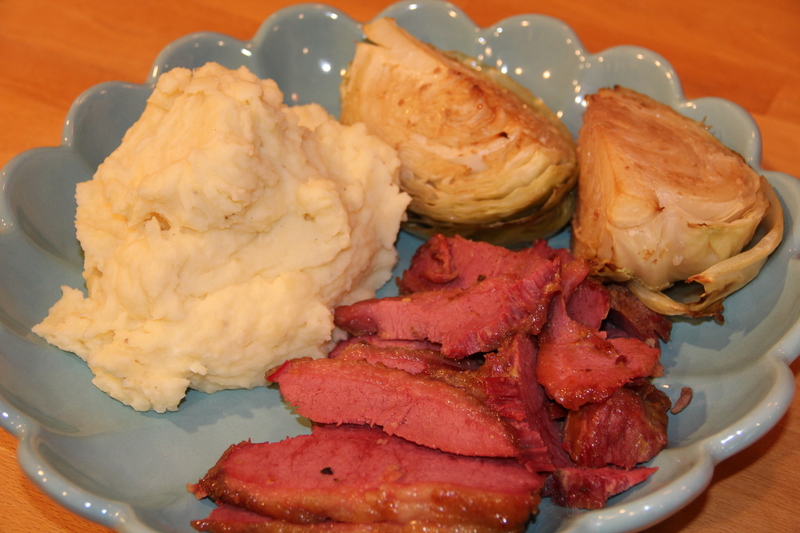 We were making copious amounts of Corned Beef and cabbage for a St. Patrick’s Day Party and she showed me how to make a delicious glaze for the beef that her family had made for years. 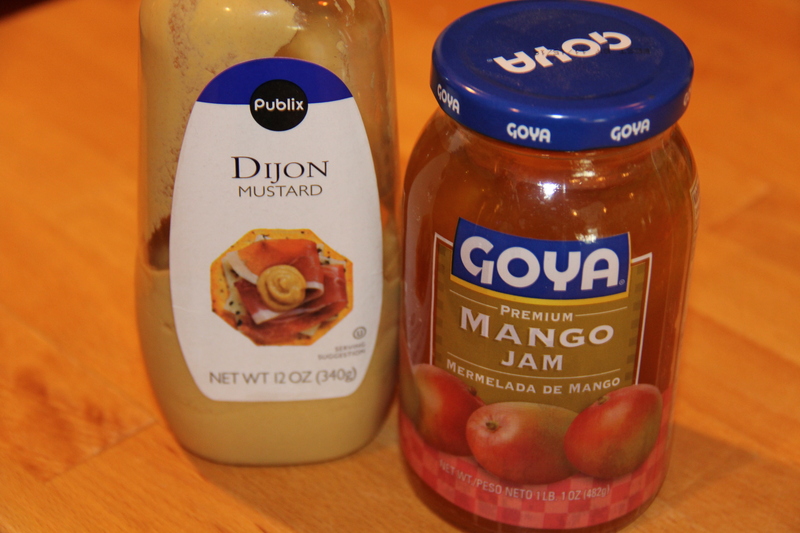 It is so easy and simple, just 2 ingredients, brown sugar and Dijon mustard. 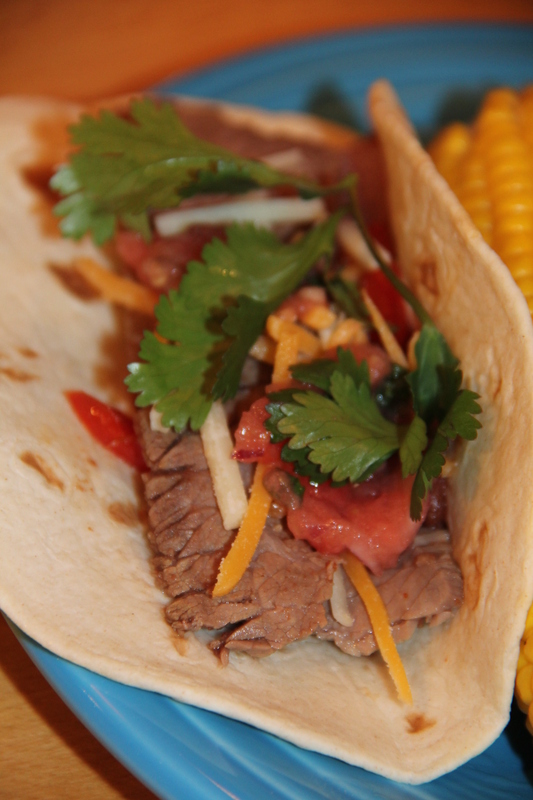 Cook beef with seasoning packet as directed, usually about 3 hours on simmer (or all day in a slowcooker). 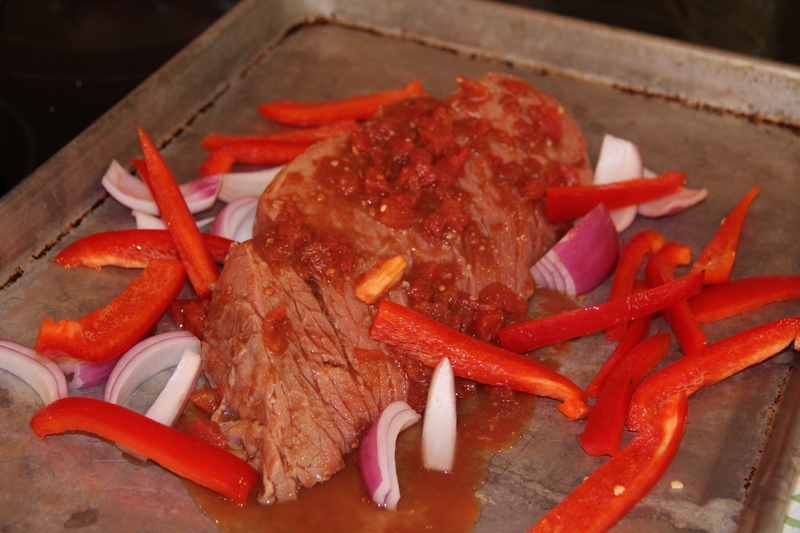 Remove beef and place on cutting board, let cool slightly. 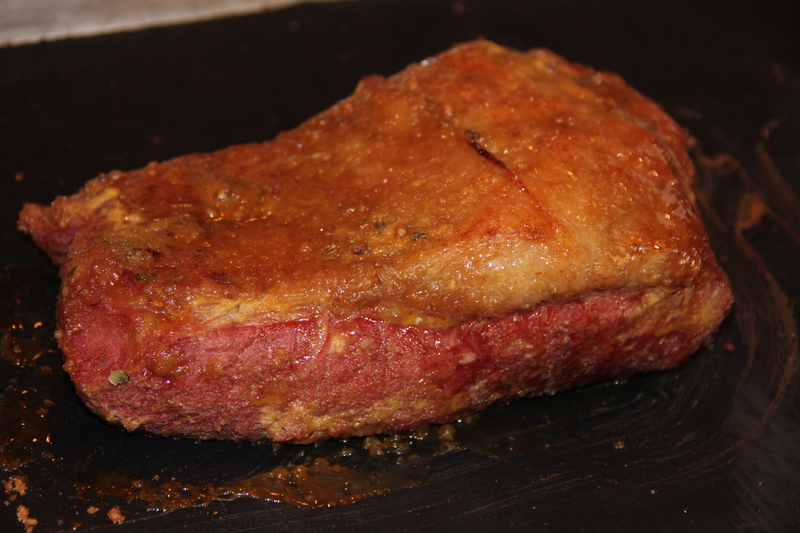 Preheat oven to 375. coat meat on all sides with dijon mustard, then press brown sugar into meat. 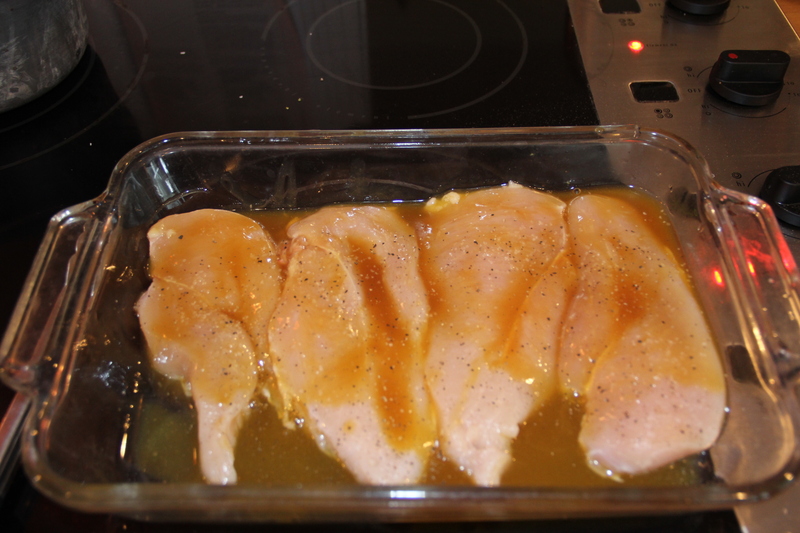 I used about 1/4 cup mustard and 3/4 c brown sugar. 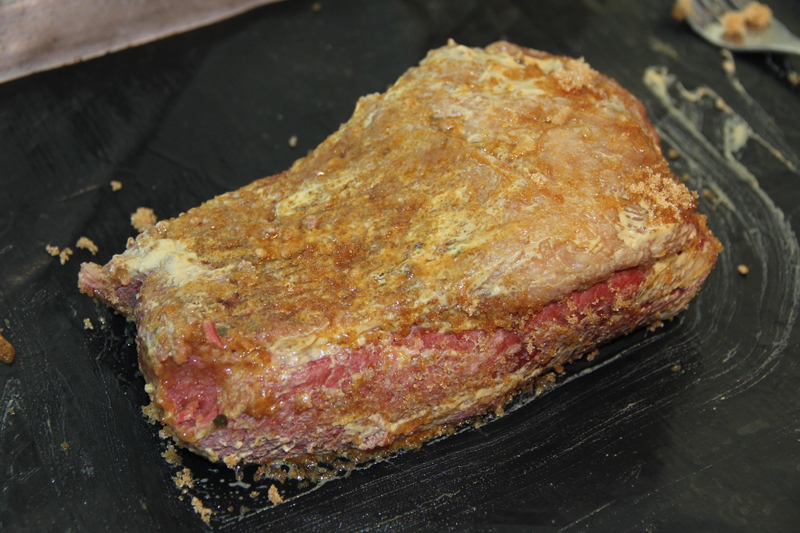 Place in oven and cook until a golden crust forms on the beef, about 20 minutes. 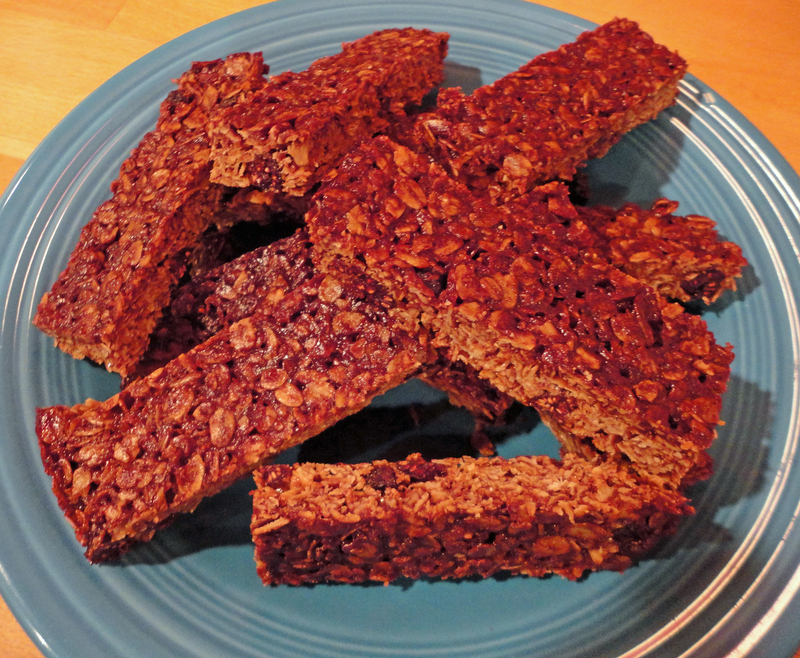 Well here is another thing I won’t need to buy at the grocery store, I just made my first granola bars and they were easy! 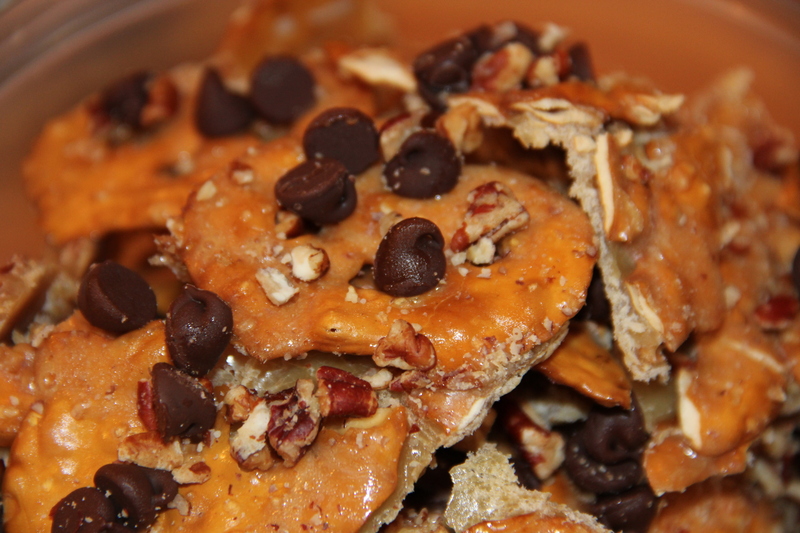 I am already thinking of new flavor combinations, They are perfect for on the go snacks and breakfasts. Mix oats and raspberries in a large bowl. 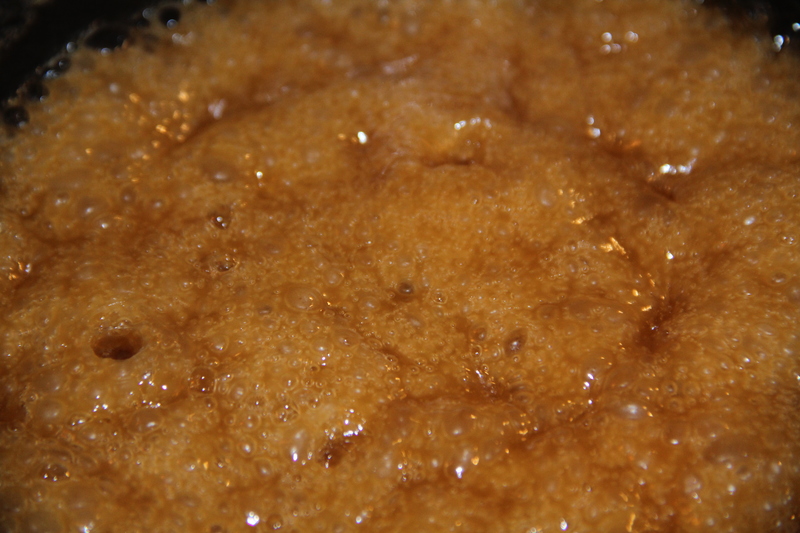 Melt butter over low in a saucepan, mix in nutella, sugar, and honey. 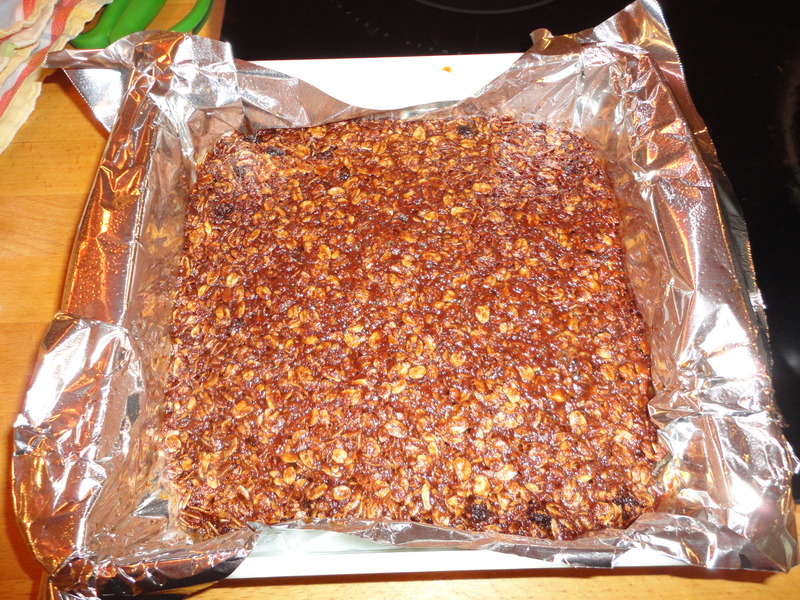 Pour over oats and place in an 8×8 pan lined with tin foil, that has been sprayed with cooking spray of butter. 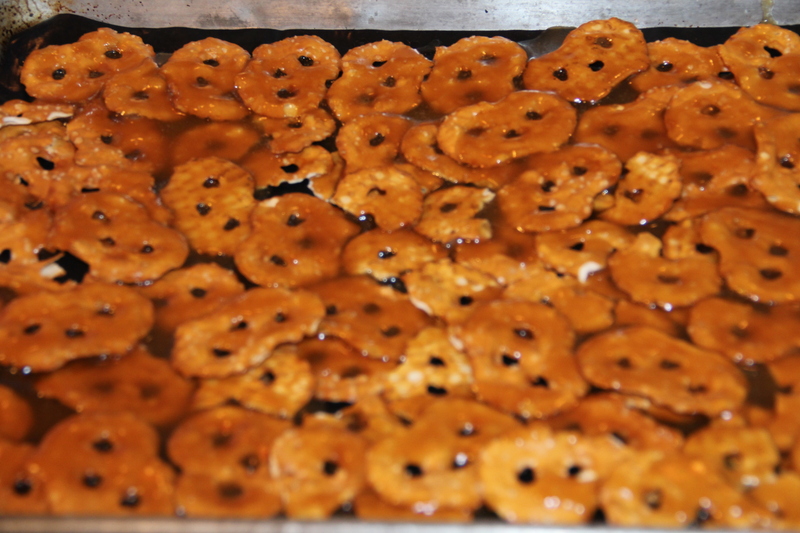 Bake at 350 degrees for 25-30 minutes, cool and cut into bars. 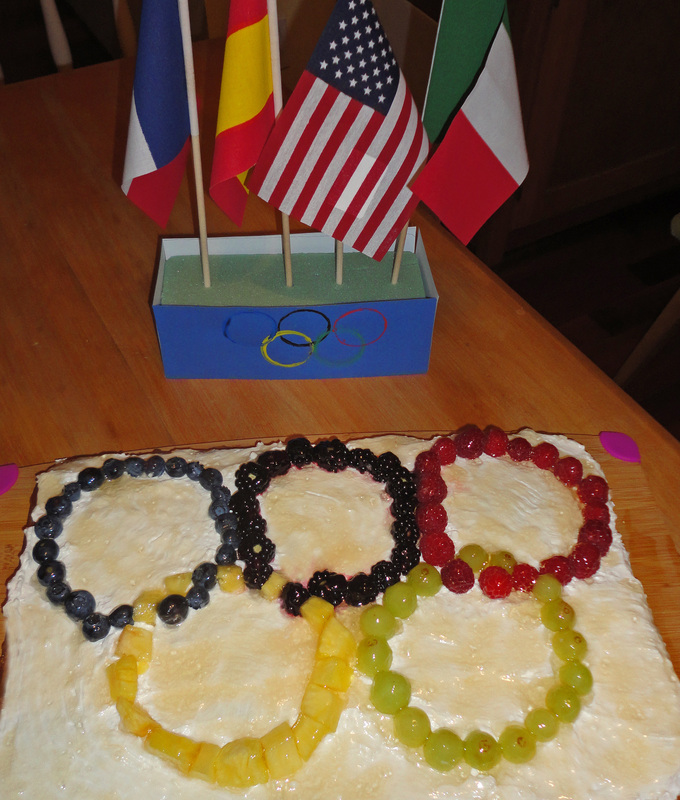 Hosting an Olympic themed party, try this cute and festive dessert, you may take home the gold. Mix up sugar cookie dough according to package directions, spread into a large rectangular cookie sheet sprayed with non stick spray. Cook for about 15 minutes or until cookie is golden brown. 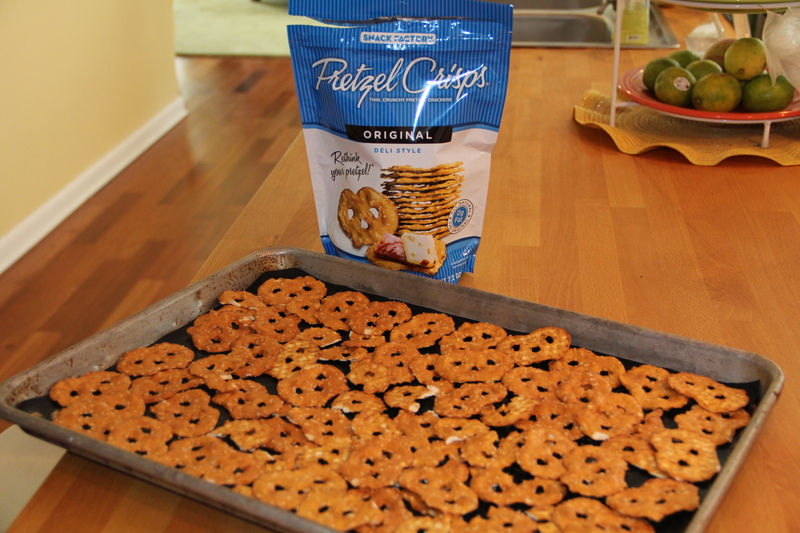 Remove from oven and let cool. 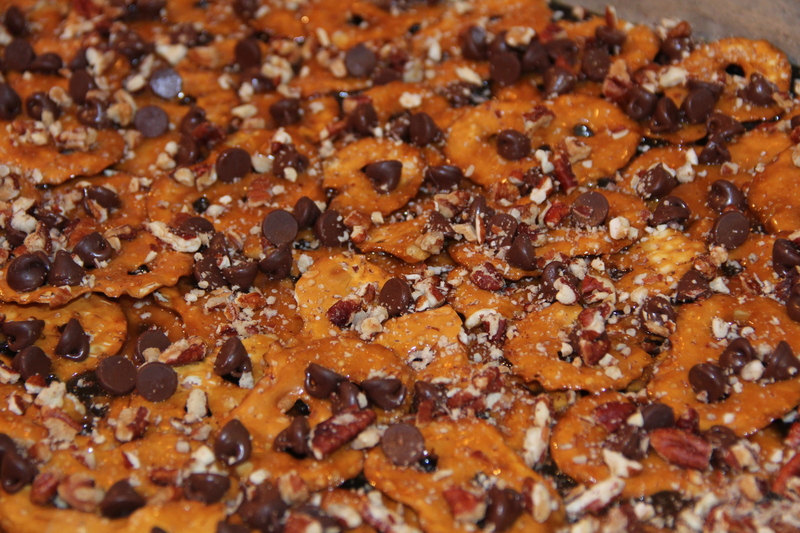 Flip cookie onto a large flat board or platter (you can leave in pan if desired). 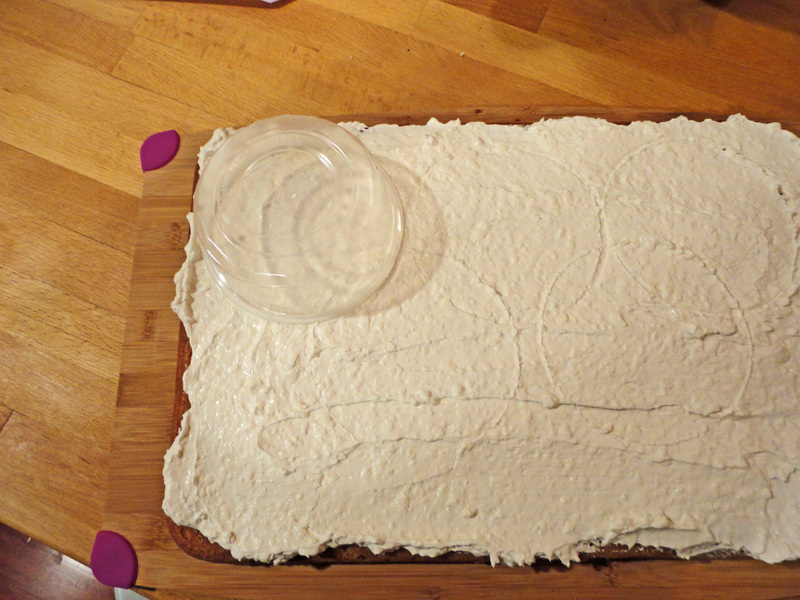 To make frosting, combine cool whip, cream cheese, vanilla and sugar in a large bowl, I used my kitchen aid mixer with the paddle attachment, you could use a hand mixer or food processor. Beat about 4 minutes on high or until no longer lumpy. 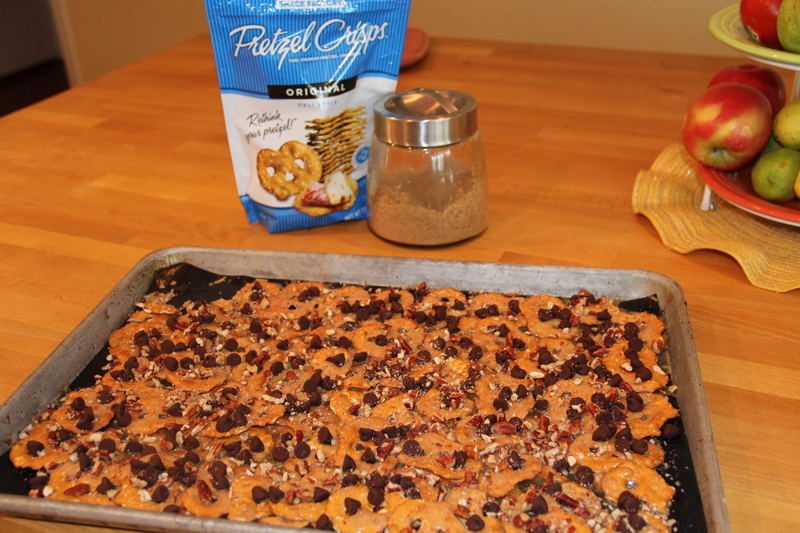 Spread on cooled cookie. 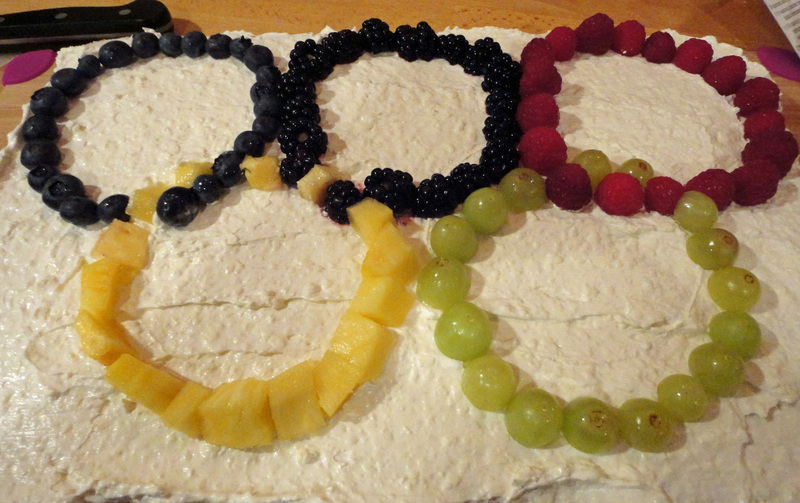 To make olympic rings use a small bowl and make circular indentations onto the frosting. 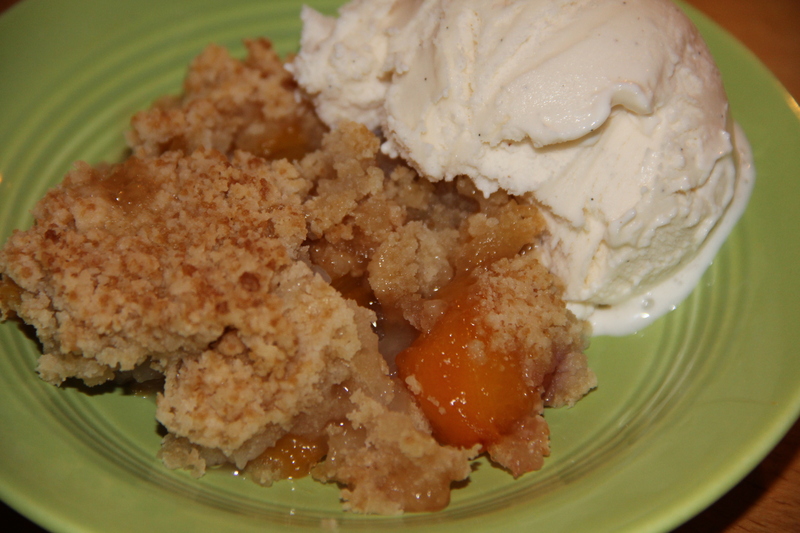 Melt apple jelly in a small sauce pan over med/low heat and brush over tart with a silicone brush. Put in refrigerator until ready to serve.